Are you feeling empty or depleted? Are you running low on important things like energy, passion, patience, or time? Then, embedded in Jesus’ first miracle is an encouraging message just for you. Join Priscilla for an in-depth look at one of the most breathtaking stories in Scripture. 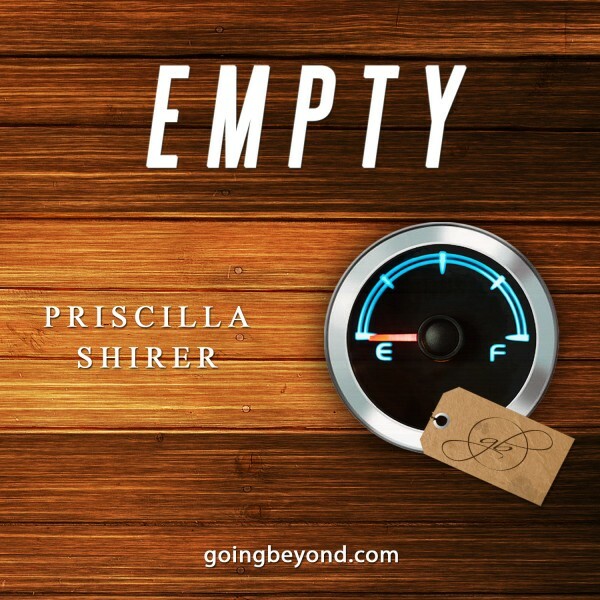 Layered with Biblical insight and abounding with reassuring truth, this teaching will help you discover a frequently forgotten principle: running out is the perfect set-up for a run in with Jesus that can change your life forever.